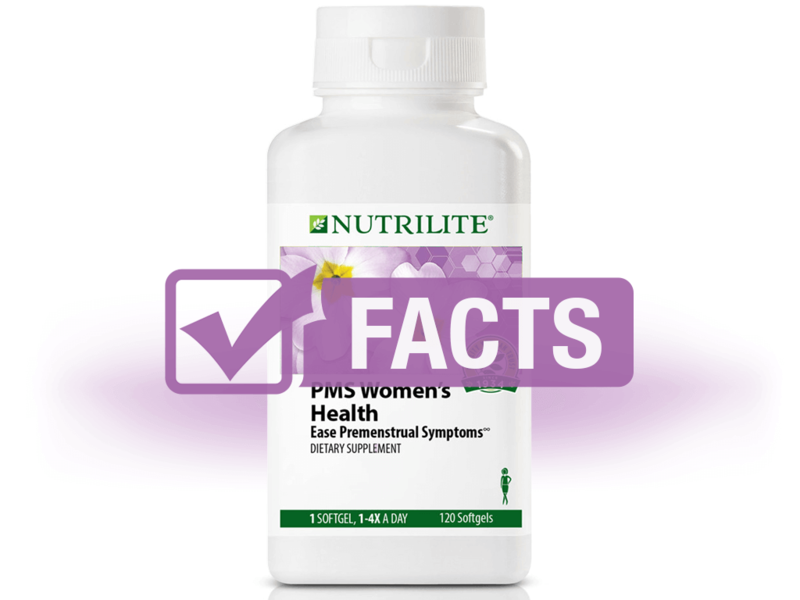 What is Nutrilite PMS Women's Health? Nutrilite PMS Women's Health is a menstrual health supplement principally formulated with phytoestrogenic herbs, evening primrose oil, and borage to bring women relief from common PMS ailments, such as irritability, breast tenderness, bloating, and more. Nutrilite PMS Women's Health contains evening primrose oil and borage oil, both of which are excellent sources of gamma-linoleic acid (GLA), one of the essential fatty acids. When combined with popular phytoestrogenic herbs traditionally used for PMS throughout the years, the GLA in this supplement can alleviate premenstrual symptoms of bloating, headaches, breast tenderness, depressed mood, irritability, and more. Women who are pregnant, lactating, or with a hormone-sensitive condition should consult with a physician before taking. Keep out of reach of children. There is no mention of short- or long-term side effects on any verifiable website, nor is there mention of adverse reactions on Amazon due to so few reviews. Positive reviews rave about the product helping relieve symptoms of cramps, dizziness, nausea, acne, and irritability. 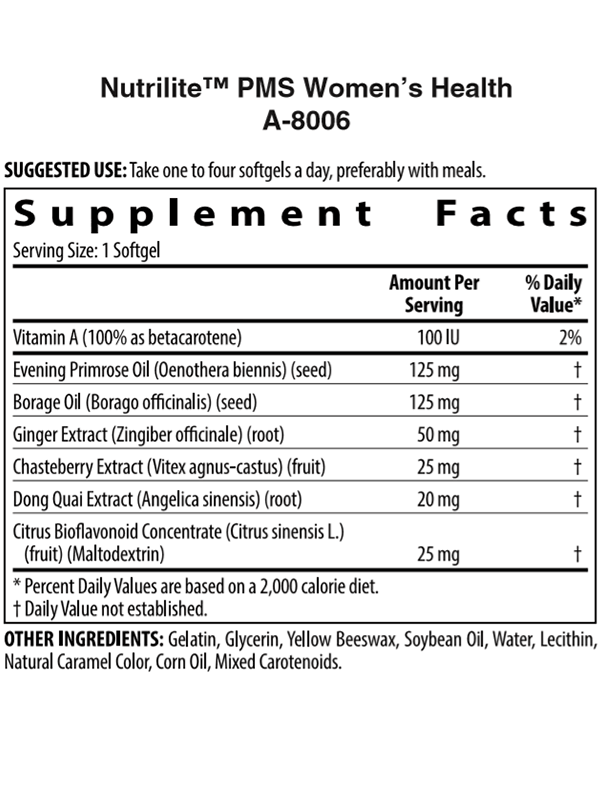 Negative reviews degrade the supplement for being in poor condition (capsules melted together) and simply not working. Take one to four tablets daily, preferably with meals. Nutrilite PMS Women's Health can be purchased online with Amway or through Amazon. Nutrilite™ PMS Women's Health is a registered trademark.